Golfer look with a stylish edge for these colorful argyle socks by Emilio Cavallini. 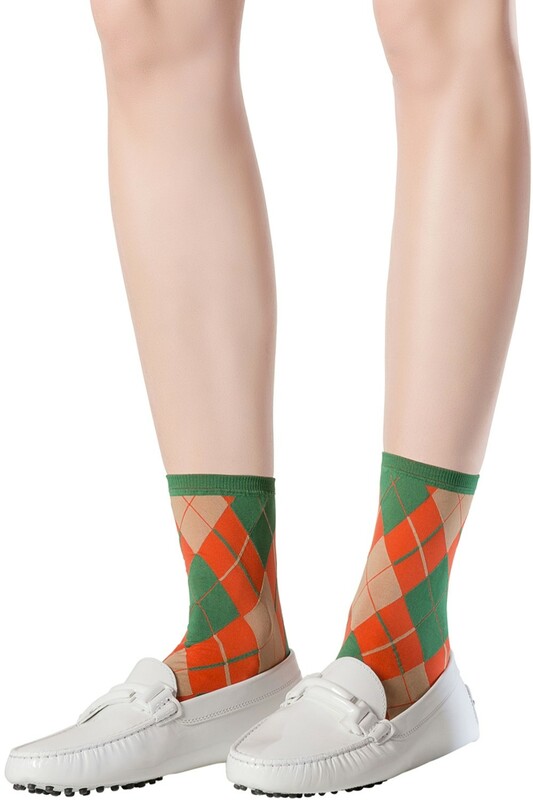 The geometric shapes characterizing the classic argyle pattern take on a unique character in these opaque socks thanks to the intriguing chromatic combinations. 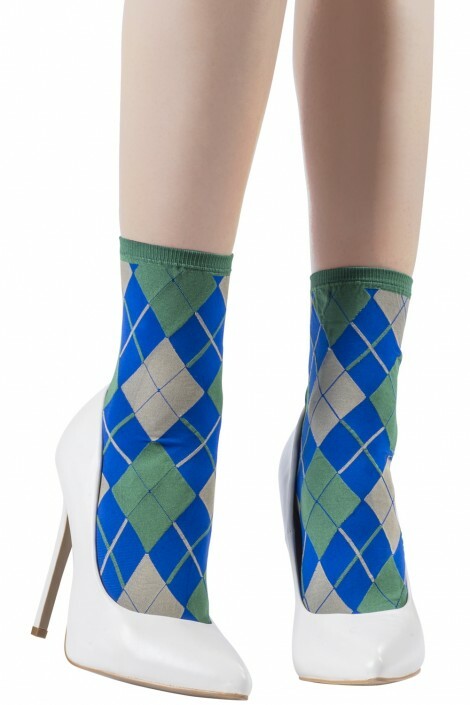 Wear them with loafers and a short skirt to create a sporty and stylish outfit.